When we really think about it, the culture we live in is very focused on deficits and problems. From a very early age we become keenly aware of our personal issues, flaws and problems. What is getting in the way of me being the best I can be? Why am I not living to my full potential? How can I fix this vexing problem within me? I need to lose a few pounds, then I’ll feel good about myself. Even our organizations tend to take a problem-solving approach to change. What's wrong? What are the stumbling blocks that are keeping us from reaching our full potential? How do we fix this issue? There is definitely a time and a place for a problem-solving approach. However, we need to keep in mind that generally this mindset keeps us stuck in a deficit-focused, glass half-empty paradigm. In other words problem–solving keeps us tied to the problem. This paradigm is so prevalent in our society today, that it is very easy to get caught up in it. Shifting our perspective to one that aligns with a strength’s approach can feel like swimming upstream. I would venture to say at all of us in the PSR field know about the strength-based approach. Yet it can be easy to slip into a deficit–based mindset with the people we support. People are coming to us for service because they have a problem. We are in the roles we are, because we are educated to provide support to others. So how do we approach our important recovery-oriented service with a strength-based approach, and shift away from focusing on deficits and problems? That almost seems like a contradiction to the way the system is set up...doesn’t it? When we apply overall cultural context, the strength’s approach, (and essentially PSR) is very counter culture. Charles A. Rapp wrote the book, “The Strengths Model: Case Management with People Suffering from Severe and Persistent Mental Illness” in the 1990s. It continues to be a great resource for the strength-based approach. If you don’t already have it, it’s a great addition to your PSR library. Rapp’s model is based on six principles. Work with clients is based on their interests, aspirations, and strengths. It is not focused on their symptomology, weaknesses and deficits. The community, and one’s environment is a source of strength, and opportunity. This approach is based on the belief that clients have the right to determine the kind of support they receive. The client is the director of their own care. A focus on building a cooperative relationship. This often starts with simple getting-to-know-you fun things like playing a game, going for a walk or coffee. The client feels known. This often means moving the work outside the office, into the community. Shery Mead–a leader in the Recovery Movement, created IPS. One of the keystones of IPS is the “Four Tasks of Peer Support.” Task four is Moving Towards–another way of focusing on strengths. We know that moving towards something we want/need is so much more freeing and inspiring than moving away from something that we don’t want. The former feels stifling and overwhelming. When I managed a program a few years ago, I used to see people’s goal plans come across my desk. Often I saw the goal “decrease isolation” scribbled on people’s recovery plans. Honestly, I can’t think of a more uninspiring goal. First of all it didn’t feel very client-centered. Second, it was born out of a deficit or a problem, and offered no alternative way of being. What if instead of framing a goal in such a negative way, we support people to explore how they want to feel–discover their desires? What if we support people as they deepen their self-awareness, while they process their difficult experiences? What if we focus on shining a light on people’s strengths, gifts, and abilities? These qualities may have been significantly dimmed through their struggles. People may not even be able to see their own strengths because of the enormous challenges they have had to face. This doesn’t mean they are gone; they are just temporarily hidden from their own view. Perhaps our role as supporters/practitioners is to support the rediscovery process of the person’s inner expert/teacher, and we do that by shining a light on their strengths. We know that everyone wants to belong, as we are all wired for community. Where is this person’s community? What does this person want their role to be within their community? Where do they feel a strong sense of belonging? This can be where a peer support worker can come in and provide some extra support. Together they can unearth strengths, hopes and dreams, and explore the community at large to find that place of belonging. I won’t spend much time on this, but I think it's it’s worth noting, as we speak about strengths. AI is an approach for organizational change that focuses on harnessing the best of what is, instead of taking a problem-solving approach. We can learn a lot about the strength-based approach from AI: both in changing the culture of the mental health and addictions system, and in supporting the people we serve. Appreciative Inquiry isn't proprietary, however David Cooperrider is one of the founders of this school of thought. 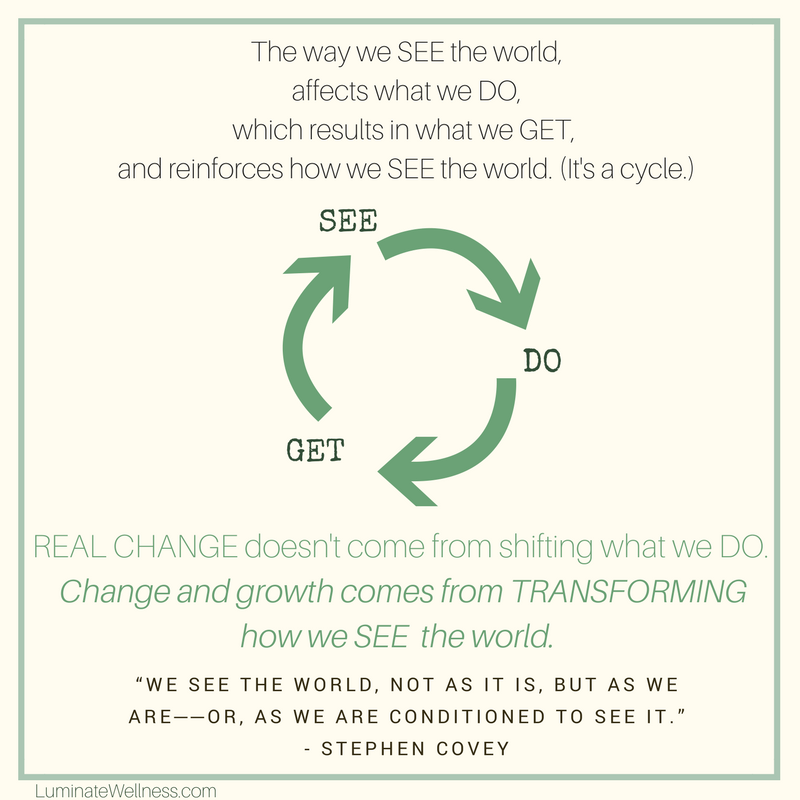 Stephen Covey talks about how the key component for change is shifting the way we see the world. When we think about change we often start with what we DO, but real change comes from shifting the way we SEE. 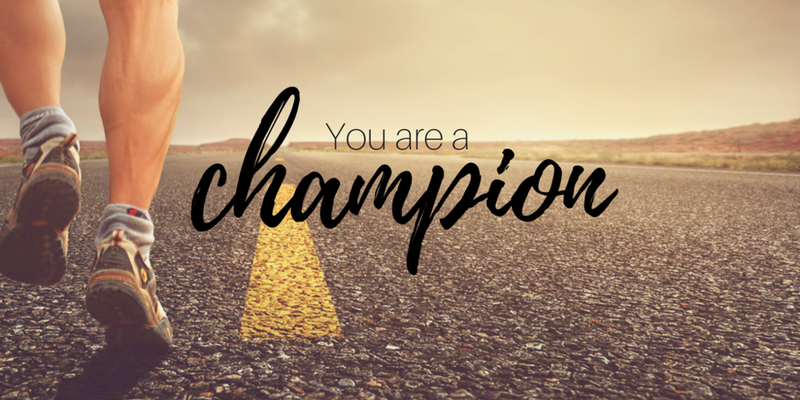 As Champions of Recovery–What Can We Do? Heading in to the new year we ask ourselves what we can do to support the shift to a more strength-based system. What can we do to shift our perspective to one that’s grounded even stronger in a strength-based approach? How do we champion that perspective for our own lives, with our colleuges, and those we support? Shifting the prevailing paradigm can feel like a mammoth task. We can become discouraged and overwhelmed when we get push-back from others who might not align with the strength-based approach…yet. Here at PSR/RPS Canada we want you to know that there is a movement of people with the same vision as you. We want to support you and provide both in-person and online environments where you can connect with like-minded people. If you are interested in becoming a member of PSR/RPS Canada, check out our membership offerings. If you wish to contribute an article for PSR/RPS Canada, please click here. We would love to share your thoughts, ideas or message! Rapp, C. A. (1998). The strengths model: case management with people with psychiatric disabilities. New York, NY: Oxford University Press. Mead, S. (2005). Intentional Peer Support: An Aternative Approach. West Chesterfield, NH. Self-published. Covey, S.R. (1989). The 7 Habits of Highly Effective People. New York, NY. Fireside. This webinar production is brought to you in collaboration with PSR Canada. We will be sharing some new and exciting changes in mental health education and practice. As with the previous edition of our competencies (2013) each competency has its own identified set of performance indicators.